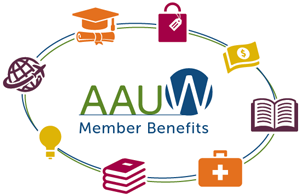 One of the benefits of membership in AAUW Sacramento Branch is the opportunity to meet and interact with an amazing group of intelligent and talented women who make up our membership. Many members make new friends, and many have made lifelong friends with other AAUW members. Lots of members have said that our best meetings have included activities that help members get to know one another better and have requested that we organize get-togethers among members living in the same zip code area or neighborhoods. While we are delighted to serve the Branch as Membership Co-Directors this year, we don’t have the ability to organize numerous neighborhood meetings. We are relying on our whole membership to help with that. So if you would like to meet other members living nearby, please reach out to them and invite them to coffee or for lunch or to take a walk or perhaps drive together to a Branch meeting. You will find the names of Branch members living in your zip code at the end of the 2018-2019 AAUW Sacramento Branch Directory. Who knows, a wonderful new friend may live within a few miles of you. Thanks in advance to everyone for helping to build our AAUW community of women. Please join us in welcoming new members Alisa Driscoll, Carol McConnell, Alice “Joan” Miller, Jennifer Miller, and Marjorie Patzer. This entry was posted in Membership, Newsletter on October 31, 2018 by angelascarlett.